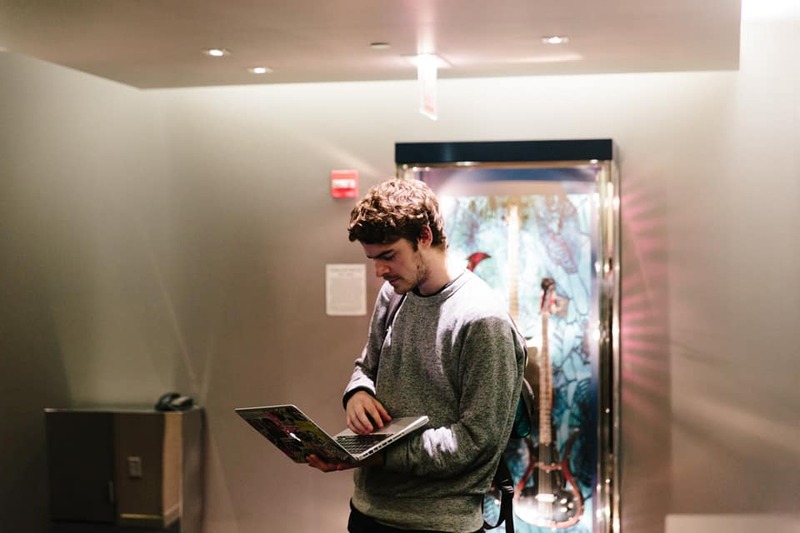 “I don’t really have much to entertain you with,” Ryan Hemsworth says, as he leads me into his hotel room on a Friday evening, a few hours before the 23-year-old, Halifax-bred producer’s scheduled DJ set at a Chicago club. He quickly gets back to what he was probably doing before my arrival: answering emails, reading Twitter and checking his phone. He says he's been there for hours, but the room is essentially untouched. The television is off. A guitar the hotel has made available for rent rests on the bed. On what feels like the last warm day of the fall, the night is clear. Outside the window, the Chicago skyline is startling, but Hemsworth is turned away from the view and toward the light of his laptop, a constant source of inspiration, connection and escape. Hemsworth taught himself music from the comfort of his bedroom. “I’ve been doing music and making stuff since I was 13,” Hemsworth says. With his interest sparked by Sigur Ros, Bright Eyes and Elliott Smith, in eighth grade Hemsworth learned to play guitar and played drums for a band using his namesake, Hemsworth. In high school he started recording original songs, which he compiled and distributed in the form of self-released CDs. At Halifax University’s King’s College, he chose journalism as his major and got his first laptop. It was during this time that his interest in non-rock music, especially rap and R&B, expanded greatly, and his direction as a musician began to change. “I kind of like everything, but I feel happiest when I’m combining them all.” If his light-handed 2012 remix of Frank Ocean’s “Thinkin Bout You” got him the most attention, it’s Hemsworth’s tender reworks of Broken Social Scene, Future and Tinashe that give him a distinguishing personality. No one else is cutting vintage Amanda Bynes samples into a laboriously edited Backstreet Boys deep cut—Hemworth’s decision to do so marks him as playfully young and earnestly tasteless, an optimistic guy open to anything, as long as it’s heartfelt. 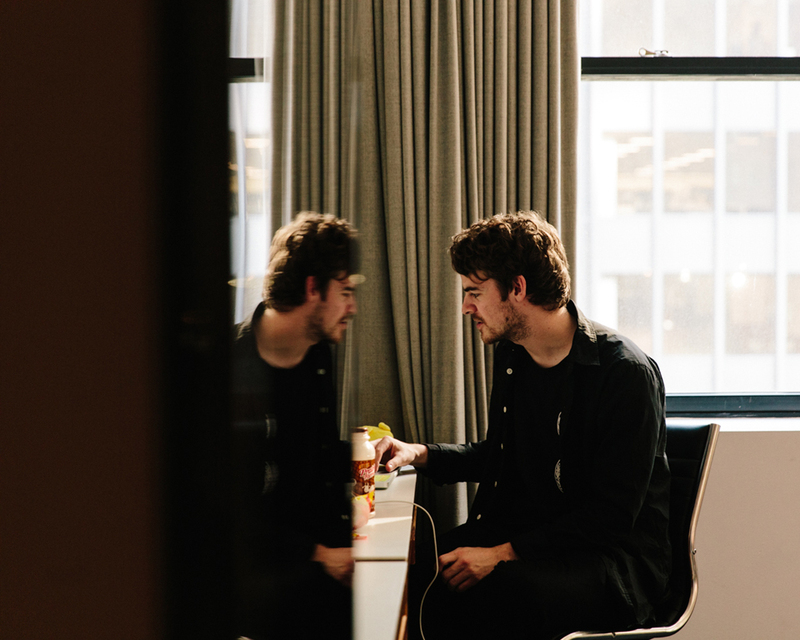 FADER TV: Ryan Hemsworth discusses Guilt Trips in New York. And like the circumstances of its creation, the album sounds best alone, through one’s headphones, as a sort of personal soundtrack to the machinations of the solo life. There are small surprises that would be hard to notice without focused attention embedded throughout. On the slow and lovely “Still Cold,” Hemsworth layers soft vocal coos and synthesized organs without building egregious bombast, while LA-based producer Baths sings: If you’re pretty much like this all the time without giving up/ It’s almost funny that you’re still so cold, like Taylor Swift. It’s a smart combination of cheeky and sweet. Hemsworth says Guilt Trips’ non-collaborative tracks are “more complex.” Full of layers, they’re heavy but not gloomy, sonically rich without sounding excessive. Each synth and vocal manipulation asks to be pulled apart. It feels like Hemsworth has tucked sounds into each of the songs’ nooks and crannies, just for you to find. If his album is best suited to solo-listening, Hemsworth has perhaps attracted more attention for his burgeoning career as a party DJ. 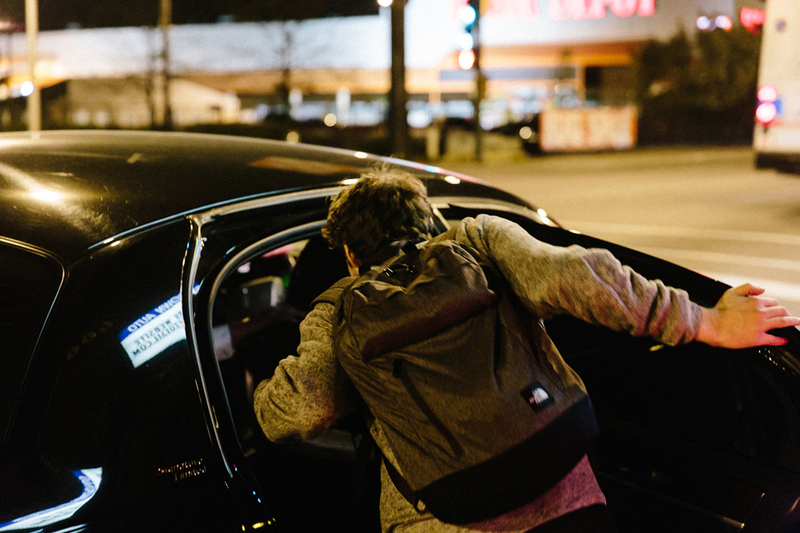 Back in Chicago, he is preparing for a set at The Mid, a popular club in the West Loop. Despite his experimental techniques, Hemsworth is a star on the rise, with an enthusiastic audience that’s starting to outgrow his intimate network. “This is the first time I’ve told friends where I’m playing where they’ve said, ‘I don’t know if I’m going to make it.’” Hemsworth says. For tonight’s show, he’s dressed casually in sweatpants and a black long-sleeved T-shirt with stripes racing down the arms, tucked under a gray sweater. Before the set, he makes his way to the dancefloor. 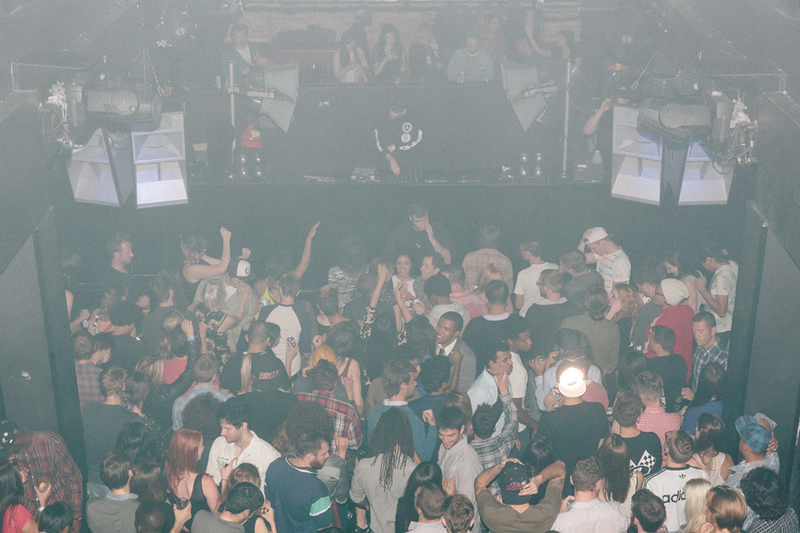 The club is like any other, full of throbbing bass and bright, seizure-inducing lights. A few guests recognize him, but for the most part, he is able to blend into the crowd. Before long, though, the room fills with friends who’ve also found success online: Tom Krell of How to Dress Well, members of local groups Supreme Cuts and The-Drum. At 1AM, Hemsworth lumbers into the elevated DJ booth. The crowd looks up, and he takes off his sweater. “DJs are just seen as cool. We don’t see uncool DJs. So that’s what I’m trying to make people realize." 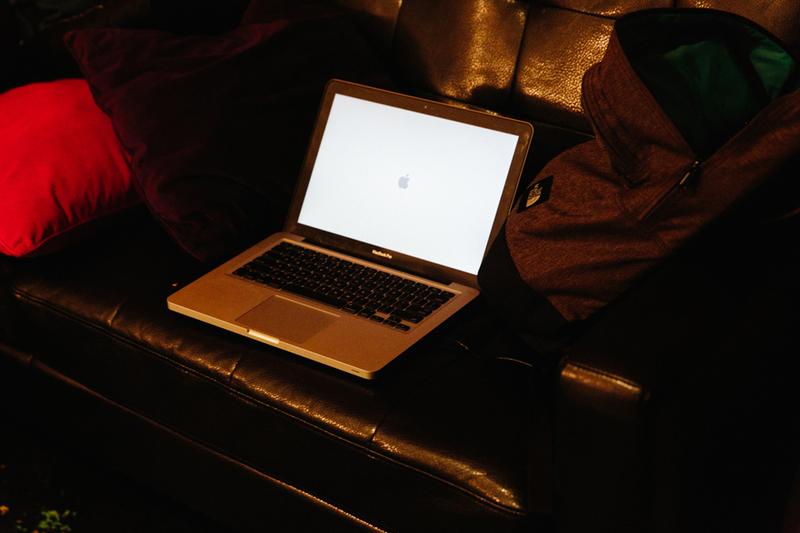 His live setup is lean, a laptop connected to a club-provided turntable, with a DVD of kaleidoscopic visuals shown on flat-screen televisions around the room. The openers played brostep hits and earlier in the evening, Hemsworth expressed concern that, his set list wouldn’t go over well with this crowd. He starts with bright, minimalist house jams and transitions into a variety of genres, tossing out Drake, Rhye remixes, Darq E Freaker and songs from Guilt Trips. He doesn’t alter his set for the club’s vibe, but the club turns around to his tastes, quick and painlessly. Hemsworth plays with his feet close together, head bobbing to the music, sliding back and forth between turntable and laptop, performing a little dance. It feels intimate and silly, even cute, but the more he feels it, the more the crowd feels it, too. The room stays packed throughout the night, and die-hard fans crowd the front of the booth, taking photos with arms stretched up to reach above the sight lines. A glaring flash stands out even among the pink and blue strobe lights. After the set, we grab a cab to Exit, a local metal bar, for an afterparty. Like you’d imagine Hemsworth’s ideal club to be, it’s a little gritty, a little packed and full of beautiful oddballs of every shape and style. Inside, Hemsworth is quickly lost. Tom Krell DJs for a crowd that’s diverse in age as well as race, a rarity in hyper-segregated Chicago. The partygoers sing along to nearly every song, bouncing more than grinding. I occasionally spot Hemsworth hugging music friends and talking to strangers, whom he embraces like old pals. He seems neither shy nor quiet. When he finds his people, as he has done quite well in cities all across the country and the globe, he is at ease. This is his element, a mishmash of sounds and souls that should not work well together, but do.